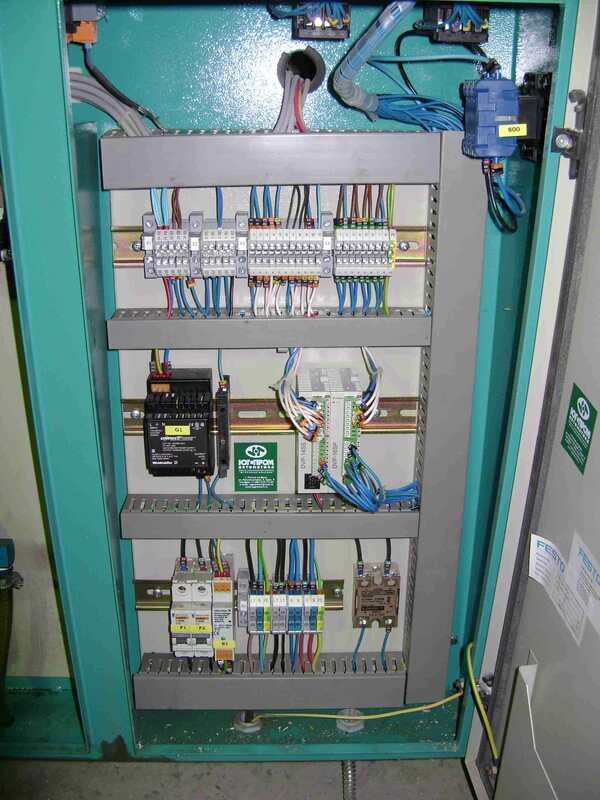 And the modernization and automation means development and implementation of new automated control systems (ACS). 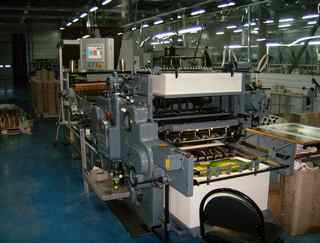 Company "YugPromAvtomatika" applies a wide range of component base - offers from leading manufacturers (Siemens, Shneider Electric, GE, ABB, Rittal, Omron, Moeller, Mitsubishi) to new players in the market for low cost options (Delta Electronics, Vipa, OWEN PLC ). Development and implementation are maintained on a turnkey basis. 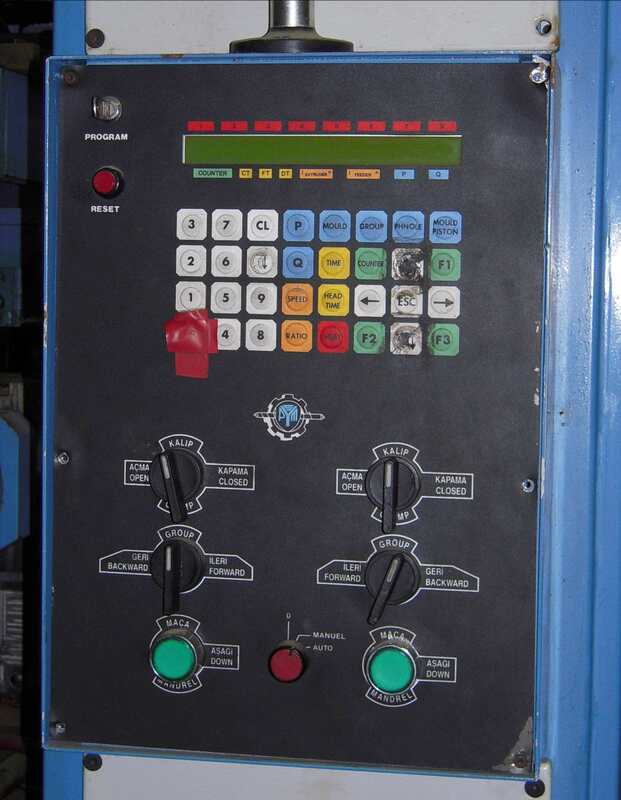 Work to upgrade cheaper than buying new equipment, even imported (used), while these works quickly recouped as significantly increase productivity. Consider a common situation. The customer has a defective, obsolete, or extremely worn out equipment. 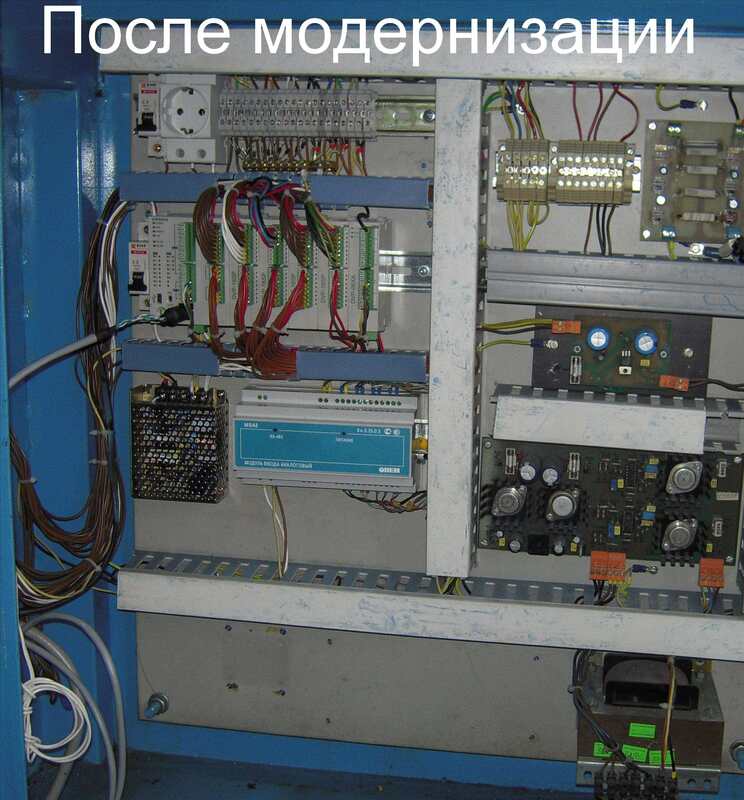 It can be machine, machine, line, pipeline etc. 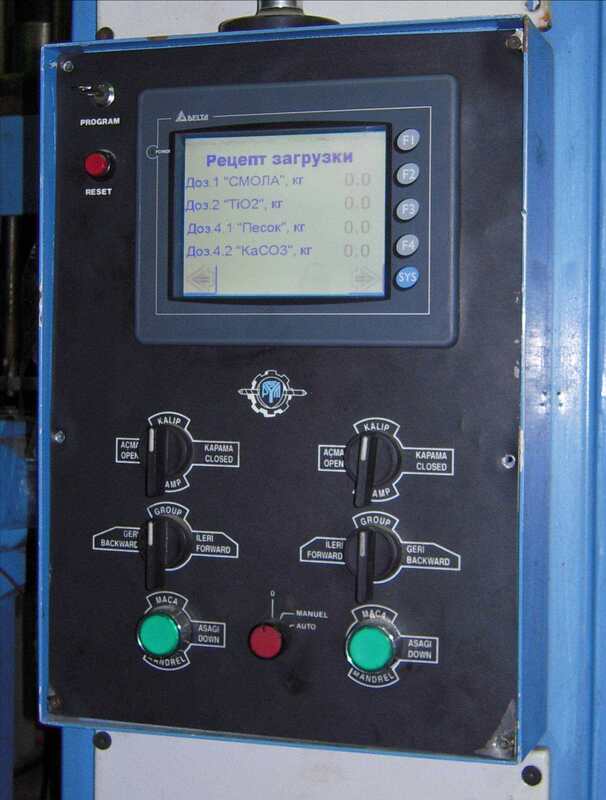 Customer equipment can be automated, but automation systems are "ancient" or (and) "exotic" proishozhenie. 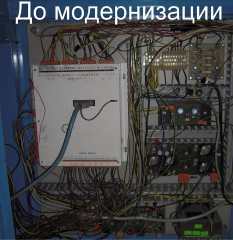 Documentation on them partially or completely lost, experts on such systems during the day with fire you will not find. These systems are either no signs of life, or stubbornly refuses to work even in manual mode, or work, but so often sboyat that their content is economically impractical. 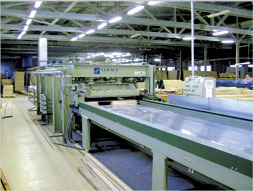 Result - equipment gathering dust in a warehouse. The cheapest and fastest option. At small volumes term modernization may take one day! 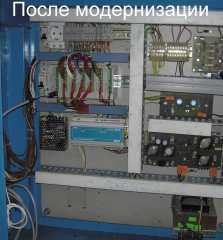 Customer equipment is not automatic, and has in its composition actuators. It was expensive and time-consuming option, but nevertheless used in some cases, especially with little wear. In this version worked out all the automation of virtually from scratch. 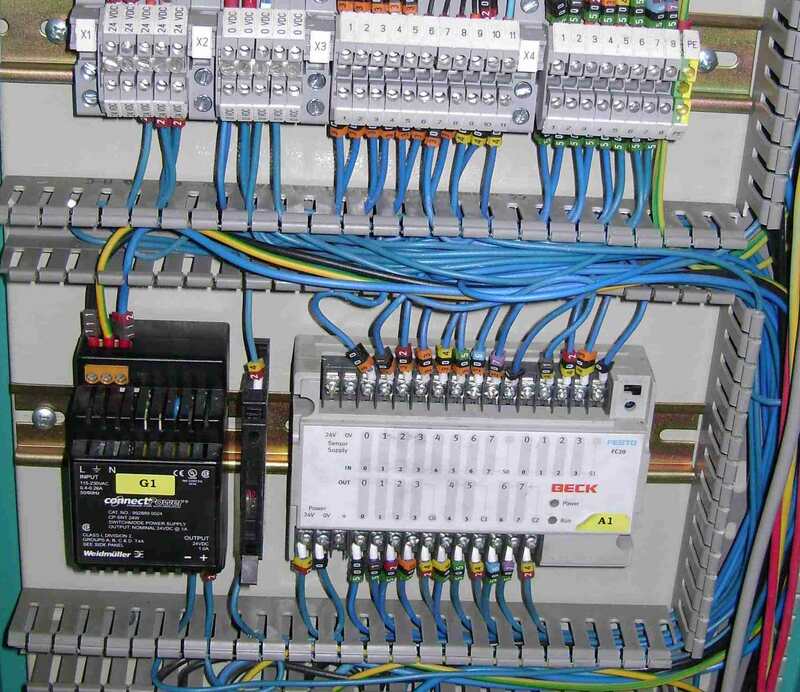 In addition to selecting objects themselves automation (PLC, sensors, actuators) by experts of OOO "YugPromAvtomatika" designed and manufactured fasteners, cable lines, etc. This option may be interesting in that it allows for small investments in existing hardware (compared to buying a new one) to get out of it healthy returns. Increased productivity at the same time reaches 100 percent or more! Scheme of action - after a preliminary telephone consultation, our specialist visits the client's enterprise. At the place where he inspects equipment and ascertain the technical details. 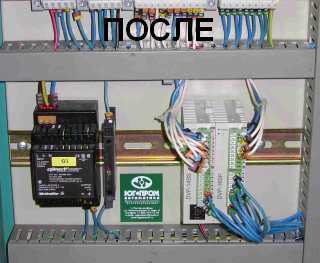 After that, from our company in a short time comes the offer. Perhaps consideration of several options for technical solutions differing price, functionality. After a positive decision of the Customer and if the warehouses of our company's respective parts, our specialists are ready to work for a few days. Quality and efficiency - key milestones for our business! Example. 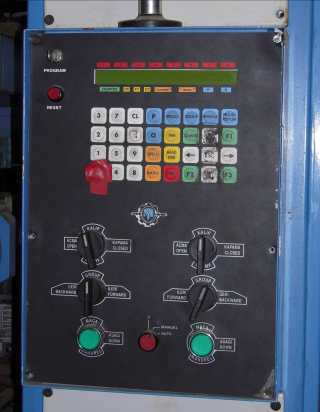 After diagnosis, we have: machine for welding plastic parts from the failed PLC rare stamps. The order of ten execution units and ten inputs. 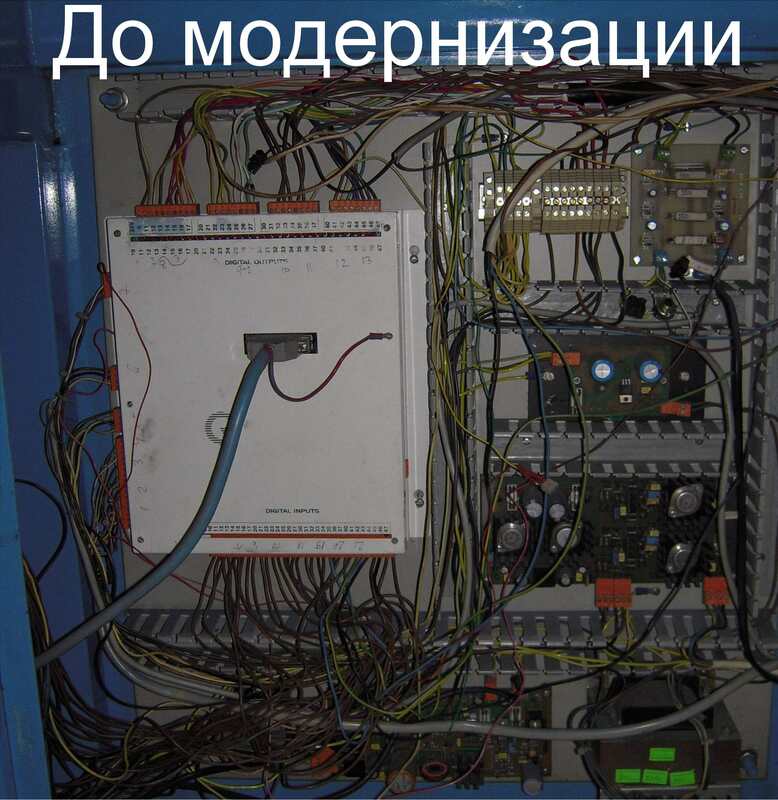 There is no documentation, but an operator who worked on the machine. 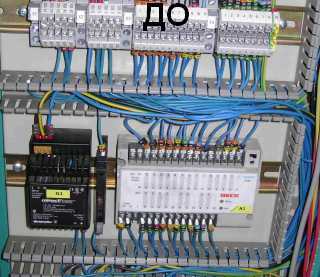 Specialists of the company for six (6) hours has been made installation of the new PLC of another brand, adapted the scheme, according to the operator has developed and established a program similar to "native" - machine "alive". During the next three days is framed and dopostavlena technical documentation - wiring diagram, timeline, etc.